Flashback 1986: Whenever farmer and social activist Vijay Jardhari and his friends would visit any village telling locals to conserve their traditional seeds and to continue consuming millets, people would make fun of them. Now the same villagers are surprised with the mass acceptability of millets and the growing popularity of organic products. Vijay Jardhari and his fellow farmers started the ‘Beej Bachao Andolan’ (BBA), save the seed movement, at a small village Jardhargaon in Tehri (Uttarakhand) in 1986. The movement remains unregistered and is more like a people’s campaign. 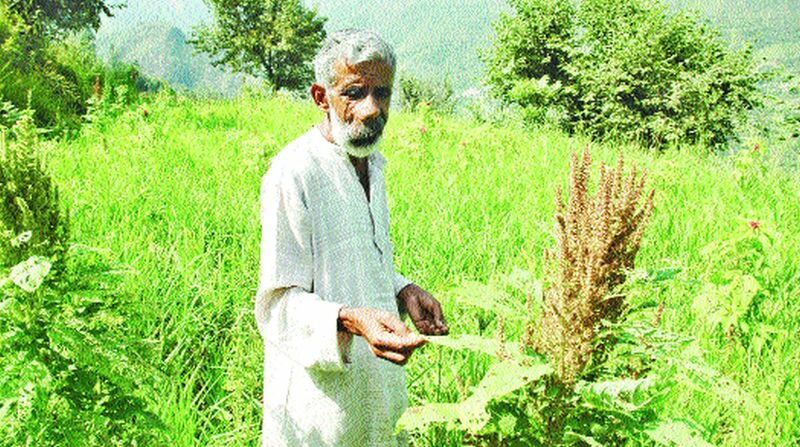 Jardhari has dedicated his life to conserving traditional seeds, which otherwise would have disappeared due to the wide acceptability of hybrid seeds among farmers. The extensive collection of the ‘Beej Bachao Andolan’ includes over 700 seeds, which were part of the hill farm till the 1980s and made a tame exit with modern high-yielding varieties catching the attention of farmers. The collection has over 220 varieties of kidney beans, 300 varieties of paddy, ten varieties of maize, 12 varieties of finger millet, nine variety of soya bean and five varieties of Ramdana, to mention a few. The exercise to keep on producing new seeds is tedious. Jardhari and his friends grow the traditional seeds in their fields and store them. They have been doing this for the past 32 years. The BBA has made Jardhargaon village of district Tehri famous for its unique movement to conserve traditional seeds. The Andolan is not only a crusade to conserve traditional seeds but also to promote agricultural biodiversity, sustainable agriculture, and local traditions. In acknowledgment of his contribution, Vijay Jardhari was awarded the Indira Gandhi Paryavaran Puraskar in 2009. After the Green Revolution of the 1960s, farmers in the hills also adopted high-yielding varieties of seeds. After initial success, the Green Revolution fizzled out as yields began to decline. The change forced villagers to realize that so called modern agriculture was unsustainable. Moving from one village to another, Jardhari and his group developed a seed bank. The big collection also indicates the herculean effort made by the Andolan members. In a move to clear confusion about modern seeds yielding high produce, the Beej Bachao Andolan has prepared a comparison chart of high-yielding varieties of seeds and traditional seeds. Many traditional seeds yield higher produce than modern seeds. For instance, the Gorakhpuri Paddy of Tehri used to take 95 days to harvest and yields 35-40 quintals per hectare. The Andolan makes an appeal to local farmers to discontinue growing cash crops like peas, potatoes and soybean, and promote indigenous practices like the ‘Baranaja’. The Baranaja (meaning twelve grains) is a traditional system of mixed farming, through inter-cropping of twelve species. The Beej Bachao Andolan suffered a major setback in 2006, when it lost its key member, journalist and writer Kunwar Prasoon. The movement has sustained itself without financial support from government. Despite all odds, the BBA members have not lost the zeal to collect and preserve the traditional seeds.